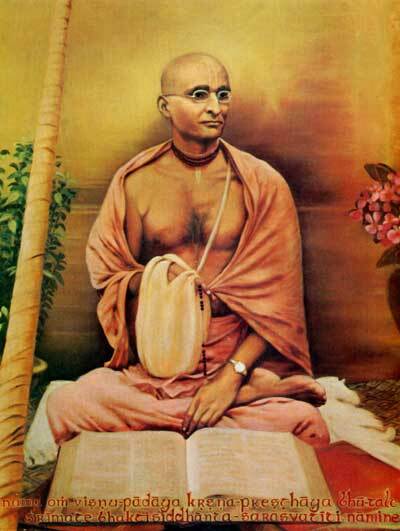 Home Featured Articles Srila Bhaktisiddhanta encourages his world preachers…..
Srila Bhaktisiddhanta encourages his world preachers…..
During the 1930s, Srila Bhaktisiddhanta Saraswati Goswami Prabhupada sent the first ambassadors of Gaudiya Vaisnavism to preach in the Western World. These brave men were sent to England and Germany. 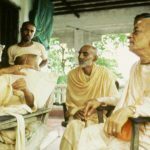 Before they departed, Srila Bhaktisiddhanta gave a rousing speech to help these men remember the position of a preacher in this mundane world. Srila Bhaktisiddhanta Saraswati Goswami Prabhupada: The happy day has come when we are destined to spread the message of our Great Master to distant corners of the earth. 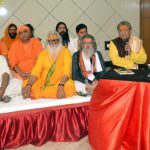 The spiritual service to which we are dedicated has now passed the bud-stage and blown fully into a flower whose aroma we have to carry across the seas with that willingness which characterized Shri Hanuman when he leapt over the wide ocean with the message of Shri Rama. This extension of Shri Chaitanya Mahaprabhu’s spiritual gift to foreign countries is our humble offering at His Feet. The back-bone of our Maths, Mahamahopadeshaka Acharyatrika Shrimad Kunjabehari Vidyabhusana, Bhaktisastri and those numerous servitors of the Maths, who are the propagators and helpers of his cementing methods with a single-hearted devotion to the cause, are the body, secondary limbs, weapons and associates of Shri Gaurasundar, being the bed-rock basis of the propaganda to all parts of the world. 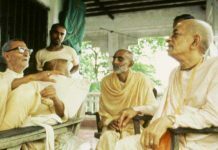 The Words of instruction of Shri Gaursundar are verily His beautiful body; the preachers of His Word through the ages are His secondary limbs; the teaching of Shri Gaurasundar is His potent weapon; and the Grace of Shri Hari Himself established in the Word of Shri Chaitanya, is His eternal associate. 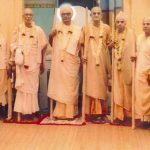 Therefore, for the purpose of truly presenting Shri Gaurasundar, the Lord of the Gaudiya, to the aliens, I am addressing these few words of mine to the preachers who are about to proceed to countries beyond India. 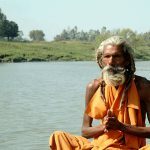 We find the following great precepts (Mahavakya) in the body of the Teaching that has been vouchsafed to us by the Supreme Master of all Masters: ‘To chant constantly the discourse of Hari by being (1) extremely more humble than the blade of grass, (2) by being as forbearing as the tree, (3) by seeking no honor for oneself and (4) by offering due honor to all entities, is the highest natural function of the unalloyed individual souls (jivas). The lotus-feet of my Shri Guru-deva attracted me to his service by his manifestation as the living embodiment of these four great precepts, My friends will be in a position to attract all souls of the world to the foot-stool or the Real Truth by purchasing the same unfailing method. The crest-jewel of the order of the Sanyasis of the triple-staff, Shrila Prabodhananda Saraswati Goswamipad, has taught the same process to those who assume the triple-staff of renunciation, in the following words: “I say this by holding the straw between my teeth, by falling at your feet and uttering hundreds of the humblest entreaties: All ye good souls, by throwing off everything to a distance, practice love to the Feet of Shri Chaitanya Who is so surpassingly Beautiful.” Following in the footsteps of all the former devotees I am making a submission to them to pursue the identical method of propaganda. 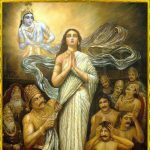 Shri Krishna Chaitanya Deva is the Supreme Teacher of all teachers of this world and the ideal possessor of intelligence that is the highest of all. It should be our only duty to constantly chant those words regarding the cleansing of the mirror of the heart of which He speaks in His Eight Precepts (Shikshastakam). We are only the bearers of the Transcendental Word. We shall never in any way hesitate to offer every honor and facility, for which they are eligible, to all persons of this world. We must pray to all for the boon of aptitude for the service of Krishna. We shall come across many persons in this world, possessing an endless variety of characters, disposed or hostile to the service of Krishna. But we should not slacken in our loving service of the Lord of our hearts and should offer due honor to all persons. 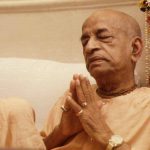 Those nations to whom you are going for the propagation of the chant of Hari are mounted on the summit of proficiency in all affairs of this world. They are practiced in the exercise of their rational judgment, are endowed with the quality of good manners and are superior and glorious in many respects. Therefore, we should maintain our hope unshaken that they will prove to be worthiest recipients of the heard transcendental Voice if we unlock to them the gates of the natural exhibition of abiding argument and enduring judgment. If we unpack our baggage of the genuine discourse of Hari by relying on the qualities of forbearance it will certainly receive the garland of welcome from the hearts of nations gifted with keen intelligence. We have not been actuated by any attempt of rivalry or hostility to undertaking this propaganda. This should always be borne in mind. We should call at the door of each and every seek- er of the Truth, bearing on our heads the baggage of the Real Truth to be offered to them. It is no business of ours to be elated or discouraged by the praise or neglect of any person. We must be constantly alive to the duty of enhancing the pleasure of our Master by serving Him with perfect sincerity. We must not look at the world by being weighed down with the mentality that is oppressed with the sense of deficiency or otherwise, by the poverty or otherwise, of the display of worldly erudition, rank, etc. by any particular person. This is the state of forgetfulness of our real selves. All persons of this world are really superior to us in every way as far as this world is concerned. All those matters are not any commodities that are fit to be coveted by us. We are merely beggars with the triple staff of renunciation devoted to the chanting of the Words of Shri Chaitanya. We have no more nor any higher desirable object than the Pleasure of serving Shri Hari-Guru-Vaishnavas. 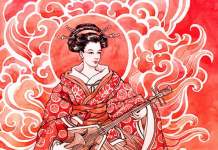 We are not the operators of the instrument, but only the instruments. We must always bear this in mind. The triple staff Bhikshus are the living mridangas of Shri Chaitanya. We must constantly give forth our music at the lotus-feet of Shri Guru. We should practice the function of the peripatetic preacher (pari-vrajaka), of carrying aloft the victorious banner of the Commands of Divine Shri Gaurasundar by constant submission to Shri Guru and the Vaishnavas, fixing our eye on the pole-star of the heard transcendental Voice. We must always bear in mind that we have been initiated in the vow of the peripatetic preacher for the sole purpose of promulgating the Heart’s Desire of Shri Guru and Gauranga. If we are constantly inspired with the duty of discoursing about the Truth under the guidance of Shri Guru, no hankering after traveling, nor any veiled form of desire other than chanting of Hari- Nama, will ever strike any terror into our hearts. 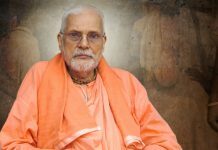 The vowed service of the Name, the Transcendental Abode and the Desire of Shri Gaurasundar, is our only eternal function. We are Bhikshus of the triple-staff. The ingathering of the smallest alms, even such as are gathered by the bees, is our only means for serving the manifestation of the Manifestive Divine Form of Shri Chaitanya Math all over the world. We are neither enjoyers nor abnegators of mundane entities. We recognize as our highest objective the desire for carrying the veneration the shoes of the order of the Paramahansas. It will be our only duty, to proclaim to all the people that complete reliance on the Transcendental Absolute Truth is by far the highest form of freedom and one that is infinitely superior to the partial independent mastery over the distorted reflected entity in the shape of this mundane world. By holding the straw between our teeth in supplication we shall carry aloft the banner of that real freedom to all persons. We should be constantly engaged in chanting the exhilarating Name of Shri Hari by adopting as our fundamental enlightening principle that the highest path is the path of submission, endorsed by Shri Rupa with the further exhortation to cherish the unwavering faith that He will always protect us.